February is the month of heart shaped chocolates and cards that express how your heart belongs/beats/flutters/etc. for your Valentine. Thus, it’s not necessarily an ideal time to be confronted with the grave reminder of how fleeting life can be, and the importance of planning for the unknown. However, for many, such planning is for the benefit of family and loved ones. Although we have little control over our fate, you can ensure that your loved ones are protected in the event of your own sickness or death. The following estate planning documents can be customized to ensure that your loved one’s are protected, not only in health, but also in sickness and death. Last Will & Testament – used to distribute property to beneficiaries (or a trust), specify last wishes, and name guardians for minor children. You can use a pour over will that funnels all of your property into the trust, to ensure greater asset protection for your loved ones. Living Trust – gain control, asset protection, & preclusion of unnecessary taxes; designate a trustworthy (no pun) Trustee. You can further provide that your assets continue in trust for the benefit of your loved ones, providing them greater protection from the claims of others. Durable Power of Attorney – gain control by designating someone to legally act on your behalf. There are many types of POA’s (“power of attorney”), but a “Durable” power of attorney means the power will be in effect even when you become incapacitated. Therefore, ensuring that any important business related decisions can be made in the event that you cannot make them yourself. Living Will & Designation of Healthcare Surrogate – make important healthcare decisions for yourself in advance. Determine who can access your health records and make medical decisions on your behalf. Roses are red, Violets are blue, Protect what’s yours and control it too. 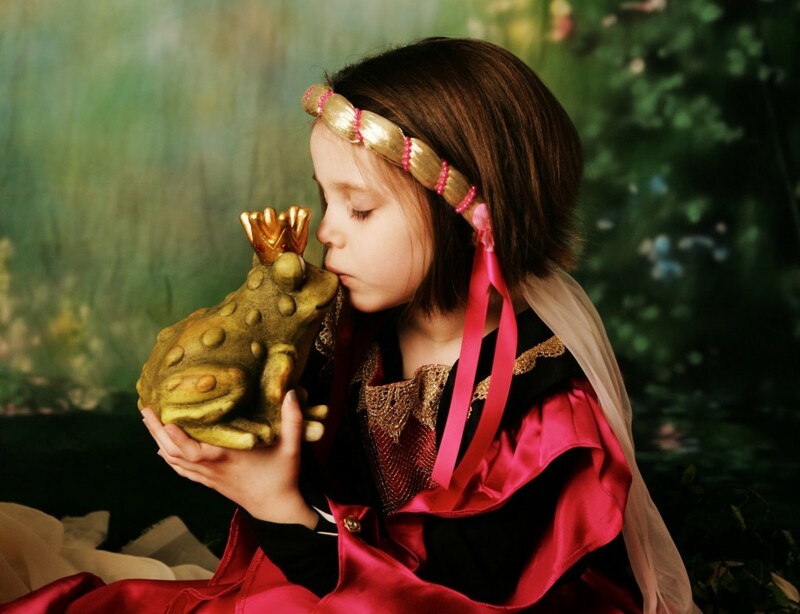 Once upon a time (cue happily ever after music), there was a Prince who wanted to protect the Princess from his enemies, so he shipped her off to a far away land. …if you just heard the record scratch to a halt, it’s because this is not your story-book-happy-ending. The real storybook version ends with Prince & Princess cozying up in the castle, safe from all the evil step-mother’s, witches, and dragons. Whether in the storybooks, or good ol’ reality, the happy ending remains the same: you want to protect what is yours, without losing the benefits associated with it. The following plans are among the many strategies that can provide protection from the fire-huffing-dragons, while effectively maintaining control. An LLC allows you to use and control an asset, yet you will not own the asset in your name. Rather, it will be owned by the LLC or LLP. Therefore, by separating your assets into several LLC’s, you are safeguarding them from being pulled into a lawsuit brought against you, as they are owned by the LLC. An LLC is a “Limited Liability Company.” It provides the desirable liability features of a corporation, without all of the extra hassle (paperwork, etc). Lets say you have a boat. So you give it a clever and punning name, and put it in an LLC. A judgment against you is not valid against the LLC and the asset it holds (the boat). Furthermore, lets say you have an investment property (a high risk lawsuit property), and a tenant injures themselves on the property, and commences a lawsuit. They can only sue the LLC. Your home and other assets (bank account, etc.) may not be touched, because you do not own the property, thus you are not personally liable. It’s like being a stockholder in a corporation. Due to the fact that there are several requirements to properly forming an LLC, you may want to seek an attorney (that has a thorough understanding of such asset protection) to assist you in ensuring that the LLC is valid; otherwise, your safeguarding efforts will be futile. Also, keep in mind; the timing of the asset transfer cannot be done to actively avoid a present creditor, as it may be considered a “fraudulent conveyance.” Therefore, it is important to partake in these asset protection strategies prior to any legal or financial problems. The early bird gets the worm – Don’t let it be the Vulture! While a living trust is a great tool for estate planning, especially for those who want to avoid probate; it is not as effective in preventing claims of others. An irrevocable trust, on the other hand, allows you to give up “control” for purposes of ownership, in the same way you do with the above LLC. Unlike the living trust, you do not want to name yourself as trustee; rather, you should consider an independent trustee (bank, etc.). You could allow your spouse to be the trustee, but must be certain that they are limited to “ascertainable standards” (where the distributions can only be made for health, education, maintenance, and support.” Furthermore, you want to include a spendthrift clause, which allows distributions to be discretionary, rather than mandatory. By utilizing estate-planning techniques, you can protect yourself and your family from unnecessary hassles, while safeguarding your assets. With the help of an estate-planning attorney, there are a variety of tools that can be customized to your goals, and implemented to ensure a “happily-ever-after” in your storybook. Cupid shot you with the arrow that initiated the beginning of what could only result in blissful marriage. You then execute a will and trust to ensure that your loving spouse will receive all of your assets upon your death. Then Valentines day comes around. The flowers die, the chocolate melts, and next thing you know, you’re getting a divorce. What now? Pull the arrow out of your chest and revise your estate plan! There are a variety of life events that can render your estate planning strategies ineffective, and divorce is one of them. This is why it is incredibly important to have your estate plan reviewed to ensure that it is still effective and true to your goals. In fact, if you experience any life event that affects your relationships or distributions, you will want to have your plan reviewed for alterations. Trust – Does your trust document make a distribution to your ex-spouse? Is your ex-spouse the trustee over your assets? Do you want to put your home in a trust to avoid homestead, ensuring your ex-spouse does not have control over it in the event that it is passed to minor children? Last Will & Testament – are your children’s distributions going to be made outright? Are they minors? If so, your ex-spouse will likely be named guardian over the assets, to which he/she will effectively have control. Durable Power of Attorney – is your ex spouse designated to legally act on your behalf? Some power of attorney documents do not address whether the power terminates upon divorce. Combination Living Will & Designation of Healthcare Surrogate – Do you want your ex-spouse making healthcare decisions for you?Your ex-spouse took half of your assets in the divorce settlement, and you thought that was bad! 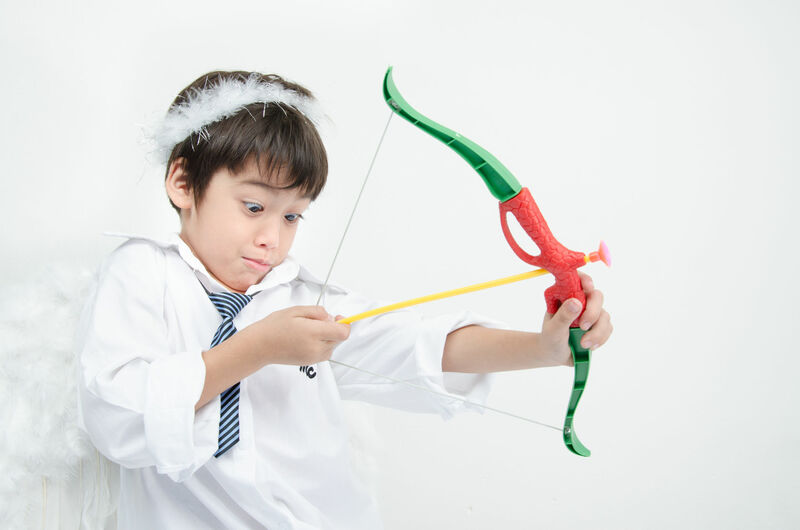 Don’t let cupid make you stupid – make sure you revise, revise, revise – protecting what is yours from what is no longer. Facebook is now thinking smart when it comes to planning for ones departure of this world. 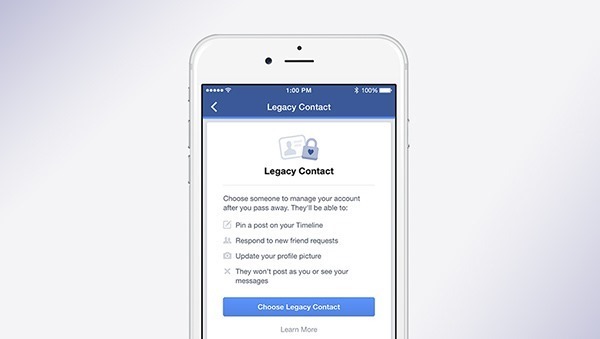 As of February 2015, you can now designate a “legacy contact” in your Facebook settings, which will allow a family member or close friend to manage your account after you pass away. Facebook used to only offer family members the ability to be able to “memorialize” the account which was a basic way for friends and family to still be able to write on the decedent’s wall. This was definitely a nice feature to offer however, the account of the deceased was unable to be managed by anyone. From a survey that Facebook released, users were upset about this feature so Facebook decided to step up and support those who are grieving. Open your setting. Choose security and then Legacy Contact which appears at the bottom of the page. After designating your legacy contact, you’ll have the option to send a message to that person. So, what will a legacy contact be able to do? It’s important to understand that being a legacy contact is different from just logging into someone’s account. The chosen legacy contact will not be able to log in as the person who passed away or see that persons private messages. The legacy contact also cannot edit what the deceased has already posted, or what his or her friends have posted on the page. As a Facebook member, you can change your legacy contact at any time but once you pass away the legacy contact cannot pass along the responsibility to someone else. With that being said, make sure the designated legacy is aware of the responsibilities and agrees to keep your social media account the way that you want it to remain. Aside from the designated legacy having those rights, friends and family will still be able to write on the person’s wall to keep them in memory. If you don’t feel comfortable or decide to opt out of designating a legacy contact, Facebook also gives you the option to delete your whole account after death. Plan smart when it comes to managing your assets and now your Facebook account after you depart because as we always say, it’s a Wild world, are you protected? In life we are often faced with some tough questions like “should I quit my job” or “does this dress make me look fat?” Navigating the answers to such questions can be challenging but at Wild Felice and Partners, we have realized that not all questions are created equal. While we may not have answers for your wife as she twirls around in a dress from circa 1989, we do have the answers to the most common estate planning questions. It is often believed that only the old and wealthy need an estate plan. This is far from the truth. In fact, anyone who is mortal needs an estate plan. Even Moses died eventually so you definitely need a plan. In most cases, wealth is not the driving factor behind setting up an estate plan, it’s the control over who gets all of your assets and when they get your assets after you are gone. A will is a document that describes one’s preference about how they wish to distribute their assets after their death. A living trust on the other hand, allows a person to entrust his/her assets to a grantor or trustee. The grantor has the responsibility of transferring the assets of the trust to the person’s beneficiaries, or managing those assets on behalf of those beneficiaries. The main difference between the two estate planning options is probate. By having a trust, a person avoids probate. Probate requires the family members of the deceased to attend court and hear arguments from those who may contest the will. Probate also allows creditors to attack the estate and ties up the assets for years. The cost of probate ranges from 3 to 10 percent, depending on the assets. With a living trust, because the assets were transferred prior to his/her death, the family does not have to go through probate. When should I get an estate plan? When should I make updates? It is never too early to start. Sit down and take stock of all of your assets, including investments, retirement accounts, insurance polices, real estate, business venture and valuables. Next, decide what you want to achieve with those assets and who you wish to inherit them. Once you do have an estate plan, it is very important to update it. Things change, we get married, divorced, lose money, gain money, have children or relocate. Anytime you have a big change in your life, we want to know about it. It’s not because we’re nosy, but simply, because we want to make sure you are taken care of. Have more questions? Wow, you ask a lot of questions! All joking aside, the attorneys at Wild Felice and Partners are more than happy to answer all of your questions. We also provide free consultations. Call us at 954.944.2855 or contact us here.